Wonderful 4 bedroom villa, with lots of gardens and grassy areas - 2 bedrooms in main house + 2 bedroom villa with views to the pool. Great for families sharing! Tryall Resort Membership. Avalon Villa, previously known as Riverlot Gardens, is a newly-renovated Jamaica villa in the Montego Bay area. The villa now has a fabulous new look! The four-bedroom villa is located within the Tryall Club Resort and provides captivating panoramic views of Tryall's championship golf course and the magnificent Caribbean Sea. The Jamaica villa's heavenly location is an expansive garden with lush tropical foliage, the perfect setting for the romantic at heart, or for groups of friends and families. Avalon is definitely one of the loveliest hillside villas in Jamaica, with gradually sloping terracotta steps leading to the main villa and the private guest cottage. Avalon Villa has a very spacious and airy living room with a casual, yet elegant décor. The living room opens onto a brick terrace with lovely views of the Jamaican coastline and the magnificent Caribbean Sea. The shady terrace is perfect for some very special and cherished moments with loved ones. The dining area looks over a beautifully landscaped lawn. A meandering path leads down towards a large solar heated swimming pool. Two bedrooms, the master bedroom and a guest bedroom are within the main villa, while the third and fourth bedrooms are located in the private cottage right next to the pool. The master bedroom is furnished with a king-sized bed and all other bedrooms have two twin beds each. All the bedrooms have lovely décor, air-conditioning, cable television and en suite bathrooms. The bedrooms in the cottage offer pool views, while the bedrooms in the villa look out at the lush gardens. Guests at Avalon Villa have two complimentary golf carts at their disposal. The complimentary shuttle is also available to take them to all the facilities offered by the famous Tryall Club. Although guests may not wish to leave the luxuries and privacy offered by Avalon very frequently, Tryall Resort offers numerous facilities for a fun-filled Caribbean vacation. The white sand beach at Tryall Club is only at a three-minute ride via golf cart from one of the most lovely luxury villas Jamaica. The villa's private staff includes an excellent team of professionals including a housekeeper, cook, laundress and two gardeners. From the moment guests enter the villa's premises, the staff takes over the task of fulfilling their every wish and desire. The villa is located within the exclusive gated community of Tryall Club and is only 20 minutes from Montego Bay Airport. 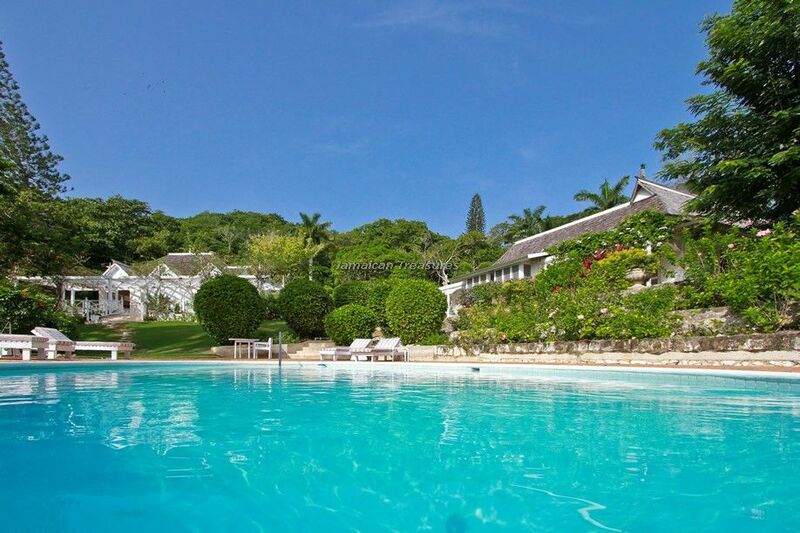 The numerous facilities offered by Avalon Villa make it one of the most fabulous villa rentals in Jamaica.